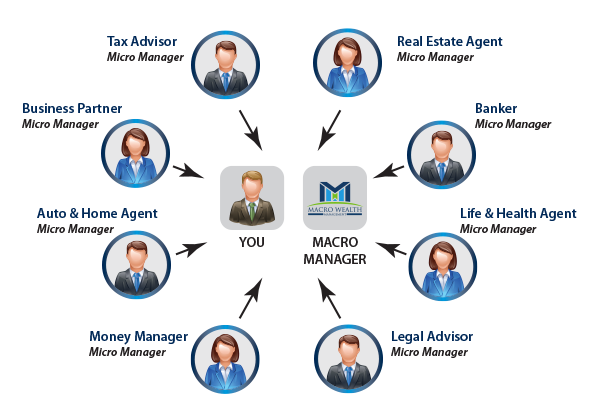 Macro Manager vs Micro Manager - Micro Managers tend to be focused within their own specialty and may not be aware of your other assets, liabilities, protection, income or cash flow. With Macro Wealth Management and the LEAP Model, we can make sure that your “Micro Managers” interact and work together in a unified way. As such, they would then complement each other and provide enhanced information and results regarding your financial life.